The official penguin mascot Tu from Lin Kernel: the operating system software company. A brilliant design from our set of penguin wall stickers. If you know about this penguin and its history then it is perfect to give your electronic device a new appearance that will make you stand out. 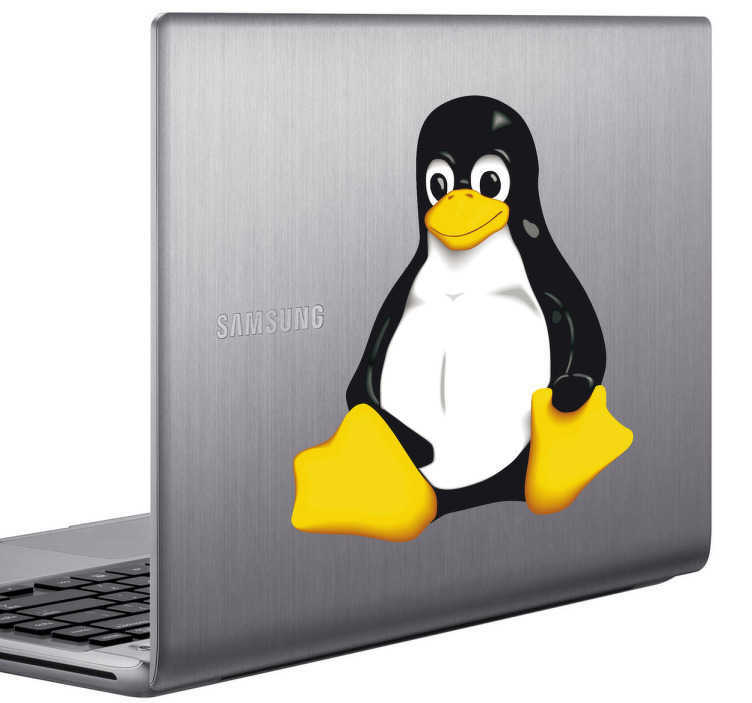 This Tux Linux design is great for customising your laptop. Easy to apply and leaves no residue upon removal. *Sticker sizes may vary slightly depending on the device.